Wool Tops :: Tops Natural Colors :: Mohair wool tops, 50gr. Home/Wool Tops/Tops Natural Colors/Mohair wool tops, 50gr. 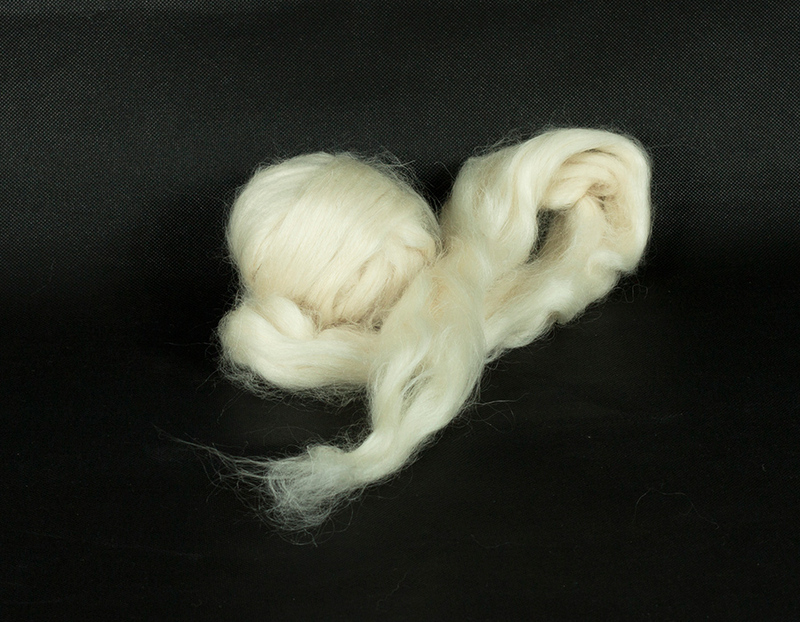 Minimum quantity for "Mohair wool tops, 50gr." is 2. Mohair, 100% wool from goat. 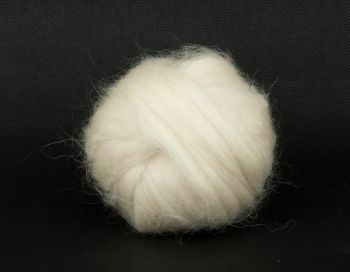 Used in wet and dry felting. Origin: England. Price for 50gr. 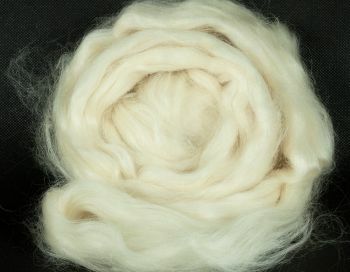 Mohair wool can be felted only in combination with wool. It doesn’t felt by its self. Thanks for your work. Goods delivered on time, all of excellent quality. And of course a little present was a pleasant surprise.